Arizona Drivers Ed | Helping New Teen Drivers Get on the Road! Learning to drive is easy with an Arizona drivers ed course from our partners at I Drive Safely. Since it's online you can start, take a break, grab a snack, and return to the course as many times as you wish! You’ll never be late for class, and never have to leave home! Prepare to Hit the Road Safely! Driver’s education is the initial task involved in preparing anyone to hit the road while behind the wheel. Let’s face it - while there is a rush that comes with driving from point A to point B, there are also potential dangers that come with the experience. Our Arizona drivers ed course will help you to navigate - not only from one place to another - but through the potential pitfalls of the unexpected, as well as the rules that govern the roads and highways of Arizona. Arizona has a graduated driver’s license program for teens older than 15 ½. Our program will assist the teen in learning the possible hazards of driving by offering both a driving permit test and a vision test. Once you complete the course, you'll get your permit and can start practicing with a licensed driver more than 21 years of age. The course, of course, is the best way to learn for the exam by learning driving basics before getting behind the wheel. When you turn 16, you can apply for a graduated driver license, if you've met a few requirements. You'll need to complete the course and then complete six months of practice driving with a permit. You'll need to keep a record of your practice time and be careful to get it done the right way. Your practice driving must include 10 hours of nighttime driving and 20 hours of daytime driving, all with the supervision of a licensed driver over the age of 21. Your parent or guardian must sign off on this practice log before you can apply for your license. Our Arizona Drivers Ed Course Gives You The Edge! Seeing is not only believing, but is the gateway to learning! 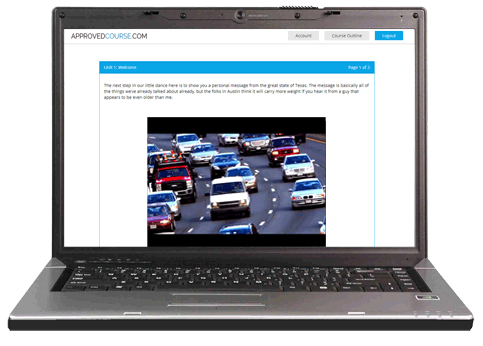 Our online multimedia course really helps prepare you for the written test. Learning with animations, video and interactive games is much more effective than reading through the driver’s manual. Research shows that these strategies are the most efficient way to prepare for the permit exam. Arizona drivers ed will not just put you ahead of the pack on the roads but on the information highway as well! You will learn to make split-second decisions based on situations you hope never to encounter. Arizona Drivers Ed - How Does it Work? That’s easy - it’s convenient! You can work at your own speed. Log in and out work as much or as little as you want. It’s completely up to you. The online interaction gives you an edge and beats just reading, yawning, reading some more, yawning some more, and being generally bored. Online courses also stay updated on changing laws so you won't waste time learning out-of-date information. At the end of the course, there is a 50-question test, covering the materials you just learned from the videos and chapter quizzes. You have to score an 80% or above to receive your certificate and permit but, don't worry, you're sure to do fine. By the time you get to the final, you will have already seen most of the questions. Your certificate should arrive just a few days after you pass the test. We'll put it in the mail to you for free, just as soon as you finish. Then it will be time to head down to the MVD and get that permit! There’s Really No Other Choice . 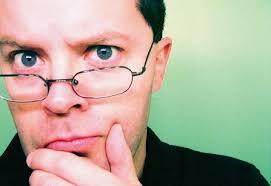 . .
We have a track record that includes more than 15 years in driver's education market. We use the latest technology to stay ahead and are continually increasing our standards to offer you the best. We consider ourselves experts in driving safety because we’ve graduated more teen drivers than any other online educator. Have a question? Just call us 24 hours a day, seven days a week and talk directly with one of our experts who can answer your question quickly, and get you back to your course. There are a number of ways by which an online driver’s education course is preferable to the traditional classroom method. More than anything, going online means you can tailor your course to your schedule. Being able to log in and out any time day or night gives you the kind of flexibility your busy schedule needs. Secondly, there's a lot to learn (and remember!) while learning to drive. An online course gives you the ability to go back and refresh yourself on the things you need the most, something a traditional classroom course could never offer. Finally, with our driver’s education course, failure is not an option. You get as many tries as it takes to get the score you need to pass. There's no easier or better way to get prepared for your written permit test! Get Ready to Take to the Road Quickly and Safely!